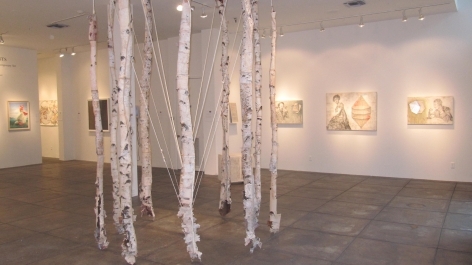 JONATHAN FERRARA GALLERY is pleased to announce the 15th edition of the annual No Dead Artists National Juried Exhibition of Contemporary Art. 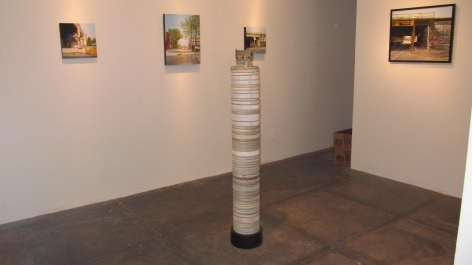 The exhibition is co-presented by ArtDaily.org, the First Art Newspaper on the Net. 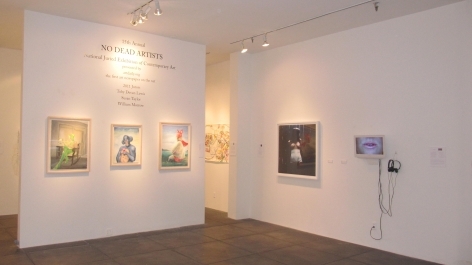 The No Dead Artists exhibition was founded in 1995 to give a voice to emerging artists. The exhibition's name is derived from the old adage that artists never achieve success until they are dead. No Dead Artists turns that notion on its head and gives emerging artists their first break in the art world. 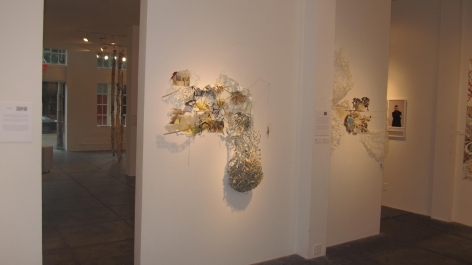 In the 90's, the exhibition was open only to New Orleans artists and subsequently grew to include artists of Louisiana. 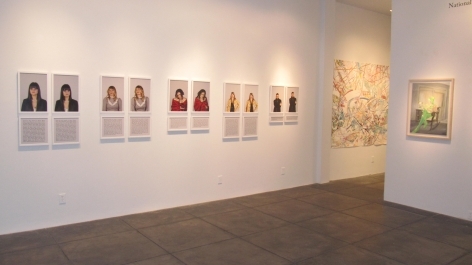 In 2010, the exhibition expanded to become a national juried exhibition open to artists from the entire US and ArtDaily came on board to further broadcast the jury winning works to the world, thus giving these emerging artists an even great voice. The exhibition has been a springboard for numerous artists leading to national press coverage, recognition, gallery representation and acquisitions by museums and other prominent collections. Each year gallery owner Jonathan Ferrara invites a panel of renowned arts professional and collectors to select the newest creative talents. Past jurors have included Prospect.1 Founder and Curator Dan Cameron, Museum Director Billie Milam Weisman, Collector and Philanthropist Beth Rudin DeWoody, MacArthur Fellow John Scott, Whitney Trustee and Ballroom Marfa Co-founder Fairfax Dorn and artist Tony Fitzpatrick. For the 15th edition, three renowned arts professionals served as the No Dead Artists jury: Collector and Arts Philanthropist Toby Devan Lewis, New Orleans Museum of Art Director Susan Taylor and 21c Museum Director William Morrow. TOBY DEVAN LEWIS is a philanthropist, art collector, author and curator. 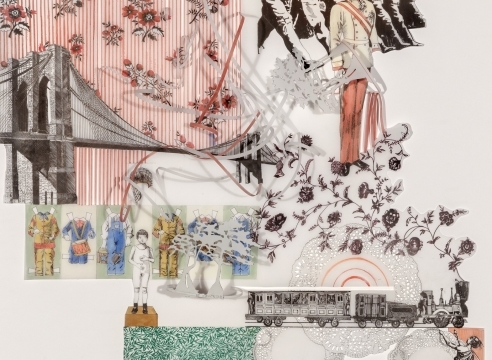 For more than twenty years Lewis amassed a collection of art works by emerging artists for the Progressive Corporation, the nation's third largest auto insurer. This collection has been rated as one of the country's top collections by Art and Auction magazine. Lewis' philanthropy includes major gifts to the New Museum of New York, where she is an active member of its Board of Trustees. She also serves on the boards of the Cleveland Museum of Contemporary Art and the Cleveland Film Society. She is the founding benefactor of Prospect New Orleans, the premiere biennial of international contemporary art in the U.S. She was the 2007 recipient of the Martha Joseph Prize for Distinguished Service to the Arts, the 2004 recipient of the Award of Excellence from the International Association of Professional Art Advisors in 2004, and in 1998 she was honored by the New Museum for her "significant contribution in bringing the visual arts and creative experience to the work environment." WILLIAM MORROW manages the private collection of Laura Lee Brown and Steve Wilson, and has been the Director of 21c Museum, Louisville, KY since 2006. Part of the 21c Museum Hotel, the museum brings contemporary art to the public through innovative exhibitions and programs that integrate art into daily life. Morrow is one of the founding board members of the Kentucky School of Art and a founding member of the Commission on Public Art, Louisville, KY. 21c Museum is North America's first museum dedicated solely to collecting and exhibiting art of the 21st century. SUSAN TAYLOR has been the Director of the New Orleans Museum of Art since September 2010 and has been a museum director for over twenty years, having led the Davis Museum and Cultural Center at Wellesley College and the Princeton University Art Museum. She serves on boards and committees of many professional organizations including the Getty Museum and the Frances Lehman Loeb Arts Center at Vassar College. 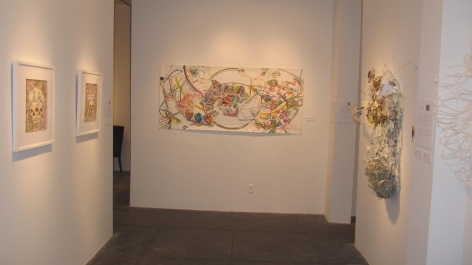 Of the approximate 1,500 artworks submitted to this jury by over 300 artists, fourteen artists were selected to have their work exhibited at Jonathan Ferrara Gallery. The 15th edition of this exhibition will feature 37 new works, ranging from the lyrical floor to ceiling installation piece Skins (made of birch bark, zippers, pins, velcro and lace) by Rebekah Miller to the provocative dirty-talking video work, SPAM by Willie Baronet. 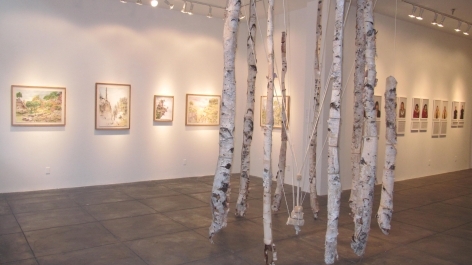 The show will feature exciting new painting, mixed media, sculpture and photography. In addition to having their works exhibited at Jonathan Ferrara Gallery, selected jury winners will be featured in an article on ArtDaily.org, The First Art Newspaper on the Net, written by art critic, D. Eric Bookhardt (ArtPapers and Gambit Weekly). ArtDaily has @900,000 visitors per month and the Art Daily Newsletter reaches over 25,000 readers daily.